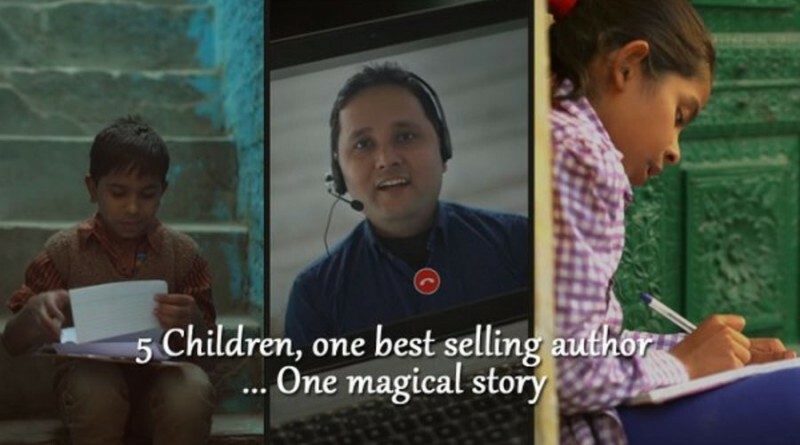 This video by Airtel shows how a story was started by Amish Tripathi, a renowned writer and completed by five little children- Nisha, Arya, Anshu, Anjali and Eklvaya. However, the writer and these kids never met before, but their concoctions form an elaborate and illustrious depiction of their imagination that brings to life a great narration. This initiative taken by Paanch Nanhi Kalmein is to throw light on the fact that children are great story tellers and have vivid imaginations, but this art is lost. This is a small step towards inspiring these kids (their udaan) to keep telling their stories.